An experienced entrepreneur and learning facilitator, Ruth pursues excellence with passion and enthusiasm. Her diverse life and work experiences help her connect with others to understand their needs. Her training philosophy is simple: The keys to success are useless unless you help people unlock the doors. Ruth provides the keys, along with the strategies or skills participants need to develop professionally and personally. Her programs deliver useful tools in an engaging and interactive way. There’s no sleeping in one of her seminars! Leveraging the skills and talents of individuals to achieve organizational goals is one of the keys to effective leadership. Ruth offers practical, real-life strategies to motivate, manage and lead teams, to supervise with authenticity and integrity and to manage for results. 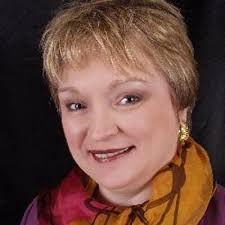 Ruth started her consulting and communications company more than 25 years ago, specializing in helping organizations develop effective written communications. As the demand for helping others improve their skills increased, she successfully transitioned her business into training and learning facilitation. Because she grew up in a bi-lingual household and spoke several languages, Ruth understands the challenges of Speaking English as a Second Language. She used her skills in communications to develop a business-writing and grammar program to assist ESL employees sharpen their writing skills and polish their professional image. Ruth has delivered more than 2,000 highly interactive and engaging programs nationwide, working with more than 40,000 employees in small and large businesses, government, education, and non-profit organizations. Ruth is known for her emphasis on customizing content to meet a client’s goals or challenges. She develops programs to fit clients’ needs and infuses those programs with interactive experiences which participants can relate to their environment.